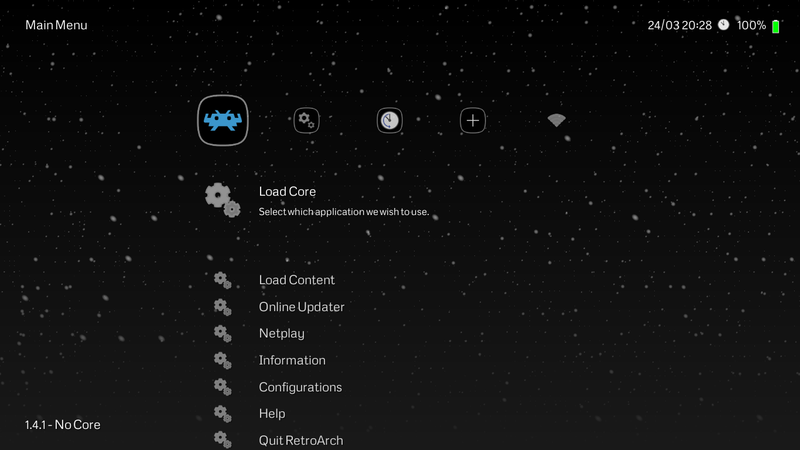 RetroArch Font-Awesome Theme… Was curious what the Font-Awesome icon font would look like in RetroArch. Turns out it works pretty well on top of Monochrome. This is nice but “Material Design” is not just a “material” wallpaper and icons. It’s also about the way things move, animations and stuff. I did not say it is complete. If you have ideas on how it could fully embrace the ideas behind material design, then create issues in the queue and help out, through constructive feedback. Sorry, I did not mean to be harsh. I like your theme. @radius Great job on implementing Bokeh in the MenuShader Pipeline! How difficult is it to port from Shadertoy? The Geomechanical entry is pretty much exactly what I had envisioned to be the live wallpaper for the Systematic theme, but I had to settle for a static PNG file. If the MenuColor Theme can be applied to that theme the same way you did for Bokeh, that would be incredible! Thank you for sharing your theme with us. Pls, I wonder if you could share with us your theme. 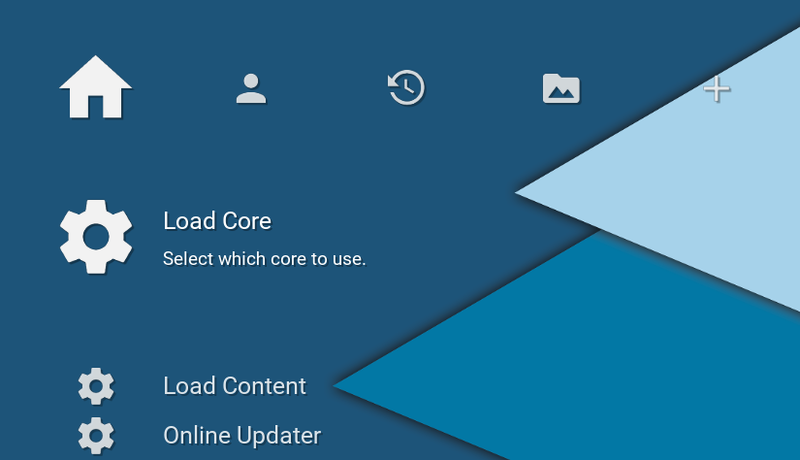 I would like to downloading to use it in my retroarch. Thanks in advance & B. regards. hello, i loved your theme, is there a way you can share it so I can install it? I want this theme can you share it? A Small Mario themed icon set and wallpaper I,ve been working on, still have absolutely no idea how to import into Retroarch (ver much a noob at theming) so I actually went and changed the icons from another included theme. Busy building my own private arcade style machine and THIS is going to be the main attraction.